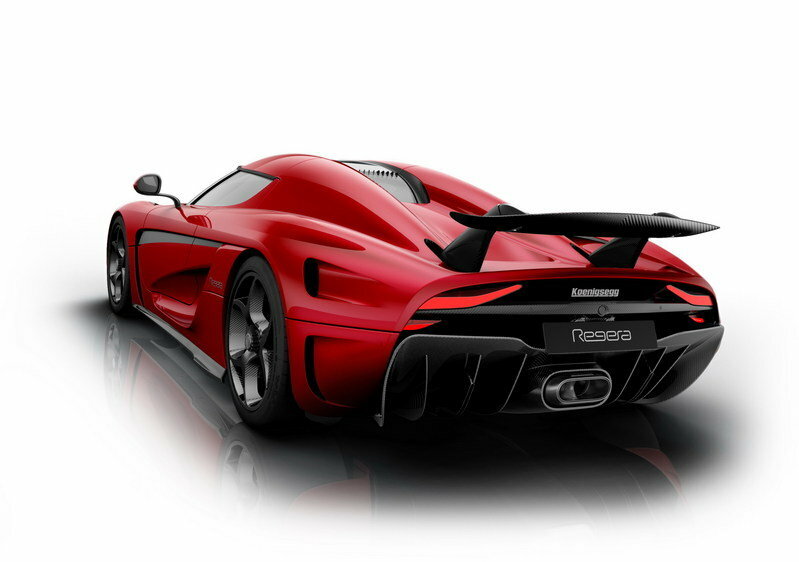 The Koenigsegg One:1 was extreme, but Koenigsegg took it one step further with the Koenigsegg Regera. The Regera is what you would consider the ultimate evolution of the automobile, boasting 1.1 megawatts of power, or 1488.52 ponies in horsepower terms from its hybridized drivetrain and V-8 engine. 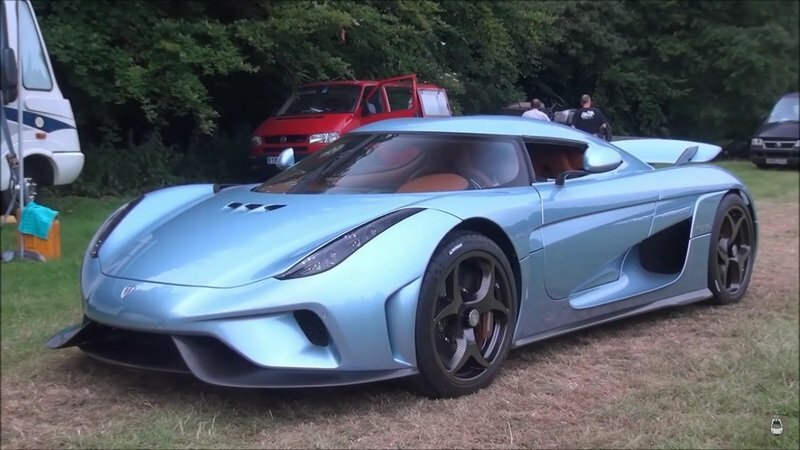 In comparison to cars like the Agera RS and the One:1, the Regera is more luxurious and has more technology but is significantly lighter with a dry weight of 3,130 pounds and a curb weight of 3,589 pounds. 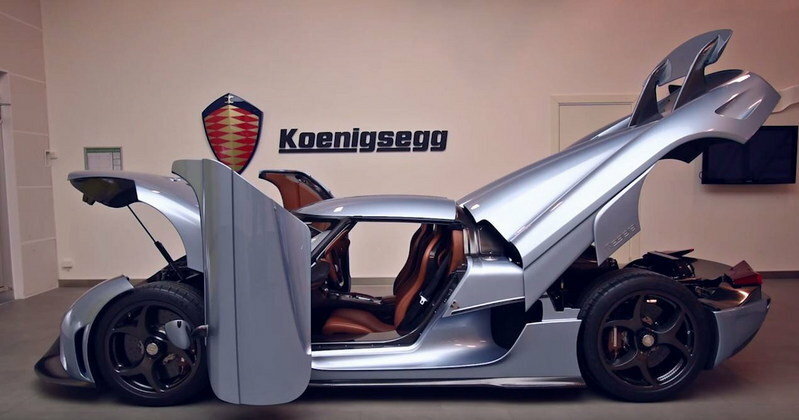 It also showcases a number of firsts for the Koenigsegg brand; it is fully robotized via lightweight hydraulics and has the world’s first fully foldable, active, top-mounted rear wing. Only 80 examples of the Regera are slated for production with an estimated price tag of $2 million. 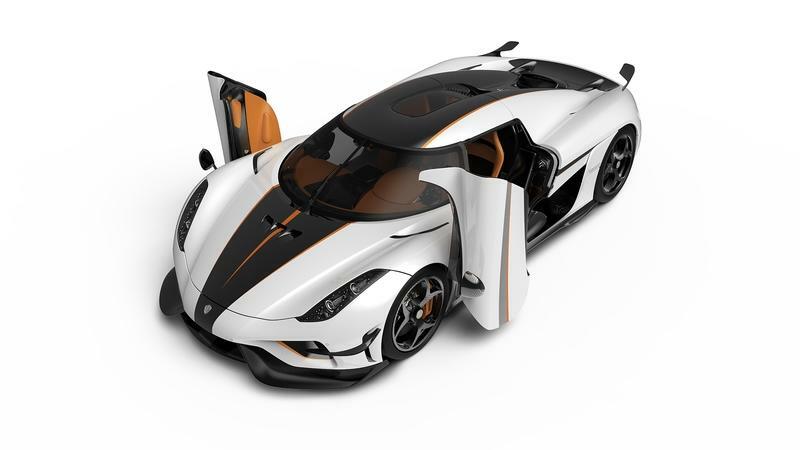 Aside from the firsts associated directly with the Regera, it also entered production while Koenigsegg was still in the production phase for another model – marking the first time that the company has had more than one model in production at one time. That’s a pretty big deal for a small manufacturer like Koenigsegg. 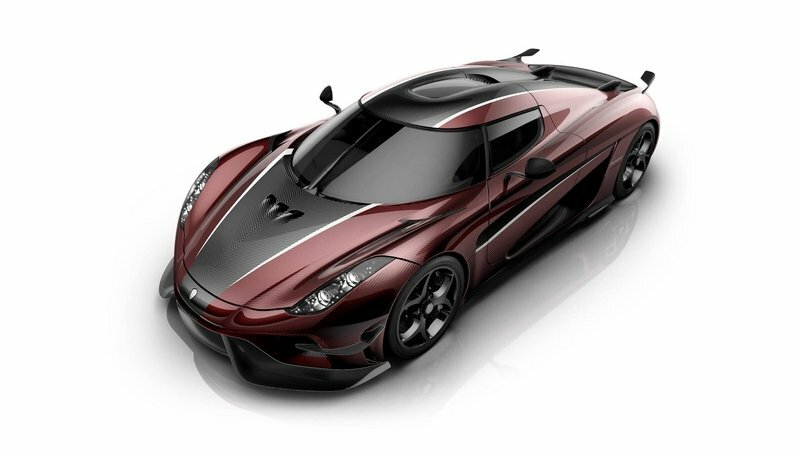 Either way, the Regera is Koenigsegg’s latest model as of 2017. 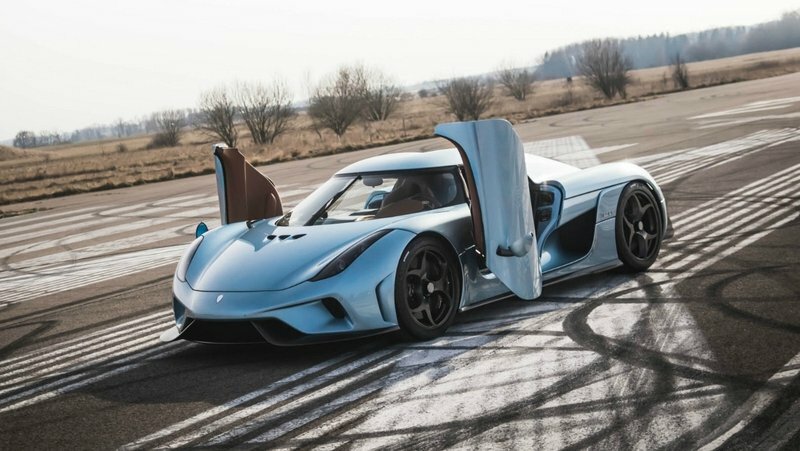 Considering the power improvements and weight reduction over the One:1, we’re already starting to wonder what Koenigsegg will do to one-up itself again with something better. Until that happens, let’s take a closer look at the Regera and what makes it such an amazing vehicle. Updated 03/02/2016: Koenigsegg dropped the final specifications figures for the production version Regera at the 2016 Geneva Motor Show. 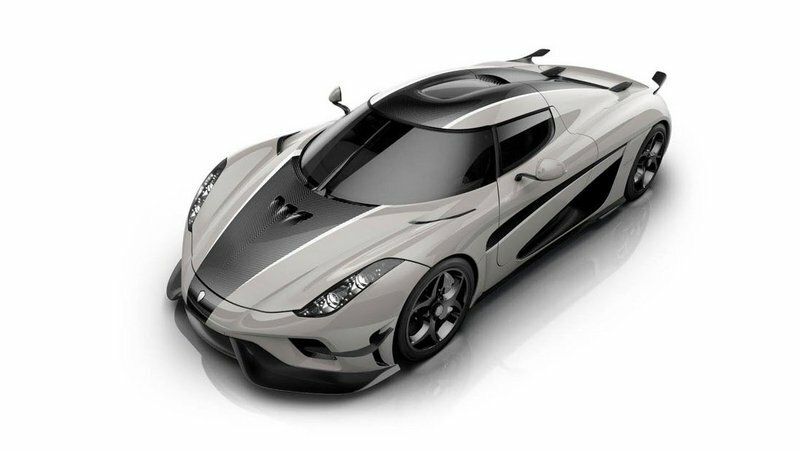 Continue reading to learn more about the 2017 Koenigsegg Regera. Remember when Koenigsegg unveiled a rendering of a Prince-inspired Regera last week, complete with a purple and white treatment that paid homage to the late music icon? Well, whatever Koenigsegg’s employees are doing over there in Sweden, they better keep up this “design-your-own” Koenigsegg Regera contest of sorts. The entertainment is too good! This week, the Swedish automaker is presenting this drop-dead gorgeous Bordeaux-finished Regera that’s making our knees very wobbly. Turns out, Steven Wade is not the only one with a hidden talent for design on Koenigsegg’s payroll. This new example is brought to us by the creative mind of no less than Johan Bjurmar, Koenigsegg’s sales director for continental Europe and Scandinavia. His interpretation of how a proper Regera should be dressed hits us in all the right spots. The three-tone color of the body is a sight to behold. The interior is also dressed like a well-kept den in one of those obscenely luxurious mansions in Rhode Island. The color combinations on both sections of the supercar match up perfectly, too, creating one of those rare instances where the car looks just as beautiful on the inside as it does on the outside. 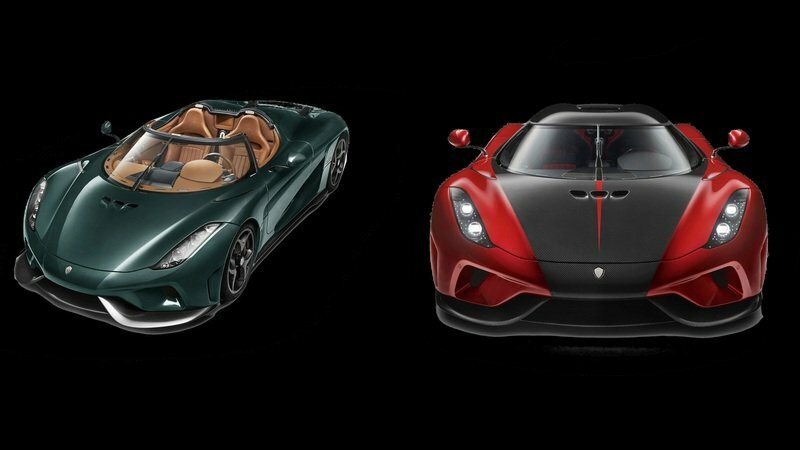 The biggest credit to Bjurmar’s rendition of the Koenigsegg Regera is that the color combinations work so well that real highlight of the supercar – the 5.0-liter twin-turbo V-8 engine – was reduced to an afterthought when these images first went public. 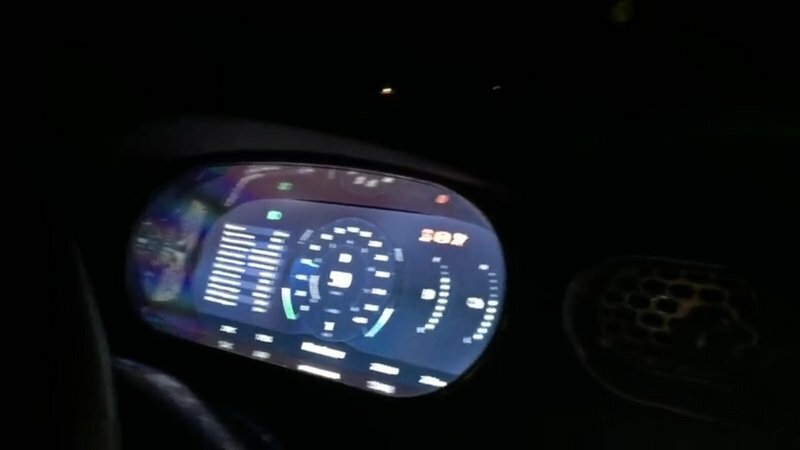 That’s a huge testament to the taste of Bjumar, especially when you consider that the V-8 powering the Regera works with three electric motors to produce a combined output in excess of 1,500 horsepower and 1,475 pound-feet of torque. Match those numbers with a dry curb weight in the vicinity of 3,130 pounds, and you’re looking at a power-to-weight ratio of 1:1. That’s right around the same amount as the Koenigsegg One:1. 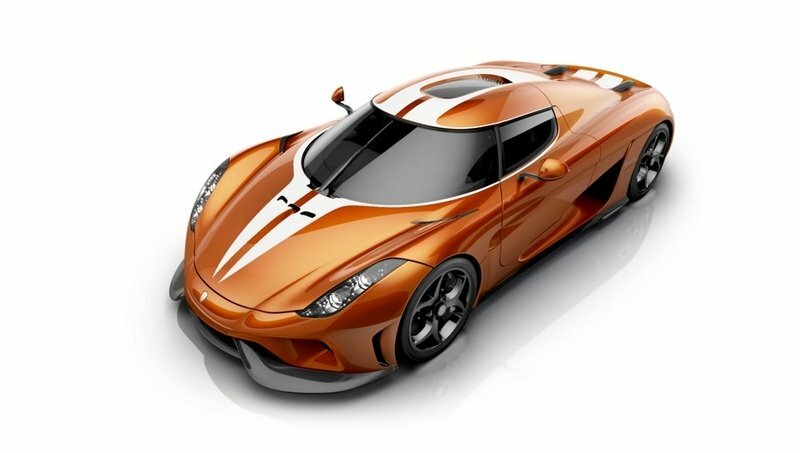 And yet, for all of the Regera’s capabilities, this particular rendering is largely defined by the stylistic eye of one of Koenigsegg’s sales director over there in Europe. Boutique hypercars can be an iffy prospect, but when they’re well executed, they can be things of staggering beauty. This is especially true of the cars built by Koenigsegg, which not only have graceful overall forms, but also have staggeringly elegant moving parts. 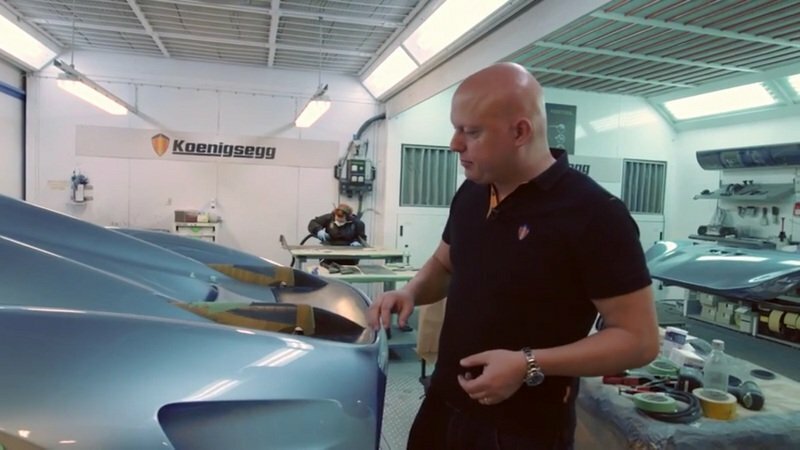 This video takes a quick look at a couple of cars from the Swedish hypercar maker. The first of these is the One:1, a stripped-down performance machine built to offer the best power to weight ratio of any Koenigsegg. The other car is the new Regera. The cars are theoretically very different, having been built with different goals in mind. 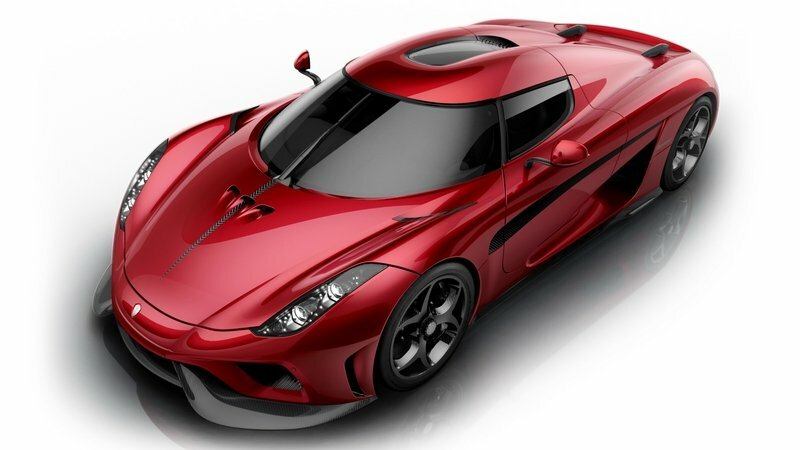 But even though the 2016 Koenigsegg Regera was made to be a softer and more user-friendly GT car, the hybrid hypercar produces a combined 1,500 horsepower, so it’s definitely still pretty quick. This video shows something not known to exist in any other video: footage of the two cars driving together. Because as awe inspiring as each of these cars is on its own, the two together make for an incredible sight. And it’s a good thing too, as this video seems to have been made solely to show just that. In the small but fiercely competitive world of hypercars, horsepower is obviously pretty important. But so are aerodynamics, and the latest crop of cars have made major leaps forward in this field. Specifically, the advancements are in the field of active aerodynamics, something that is coming to cars much later than it did airplanes. 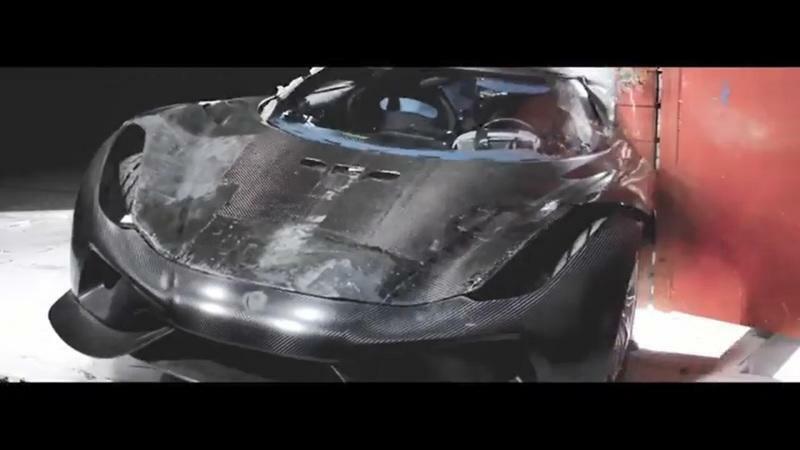 But as Christian von Koenigsegg mentions in this video, active aerodynamics aren’t always handled as efficiently as they could be, and he introduces a new kind of folding rear wing on the Regera. The idea behind this setup is to simplify the mechanics of the wing in order to make the mechanism lighter, while also making it more aerodynamically sound by allowing more air to flow under the wing. The setup extends the wing out farther from the back of the car as well, which is another aerodynamic advantage. The downside is one that some will see as trivial, but still exists. With the mechanical workings on the top of the wing, they’re constantly in view, even with the wing down. Some might find this a bit aesthetically troubling, as most of the competition offers smoother lines on the rear decks of their hypercars when the wings are down. 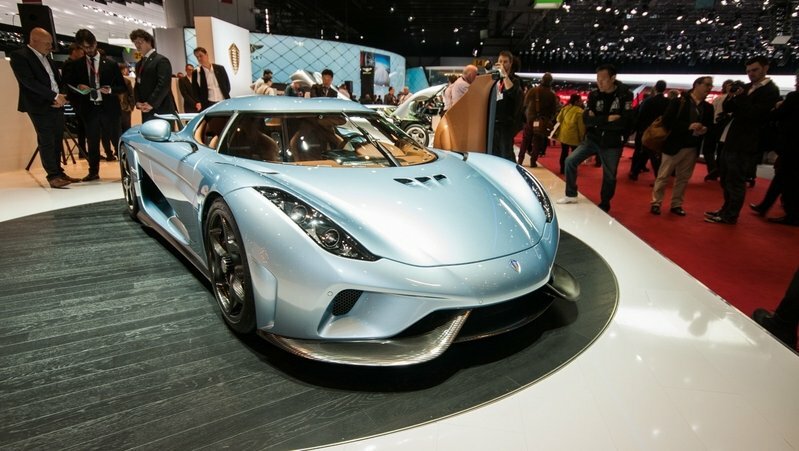 Start saving money now, because Koenigsegg’s newest gas-electric hybrid megacar, the 2016 Koenigsegg Regera, will cost €2.1 million, the equivalent of $2.37 million, when hits the market in 2016, making it one of the most expensive new cars in world. Despite its stratospheric price, the Regera will be the most-produced Koenigsegg’s ever, with a run of 80 units. The price was posted recently to German car-buying site, Mobile.de. You’ll be getting a lot of car for all that money. Power comes courtesy of an innovative drivetrain of Christian von Koenigsegg’s own design, which produces a massive 1,500 peak horsepower. An internal-combustion V-8 producing 1,100 horsepower works in concert with the Koenigsegg Direct Drive system, which essentially replaces a traditional multi-speed transmission with a pair of YASA axial flux electric motors producing 700 horsepower. 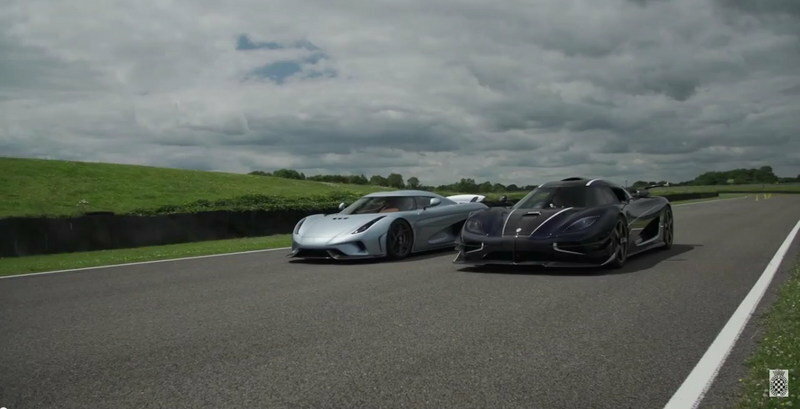 Koenigsegg predicts a 0-60 time of 2.5 seconds and a top speed of 250 mph. The Regera is a sort of more-luxurious, grand-touring take on the traditional Koenigsegg formula, more in line with the Bugatti Veyron, rather than the Ferrari LaFerrari or McLaren P1 (that’s still the One:1’s job). Combined with the seamless drivetrain, the Regera’s active engine mounts and adaptive dampers will offer an effortlessly fast driving experience. About a month ago, Topspeed published an article on the new Regera (pronounced "Re-YE-rah"); specifically, it’s transmission. Or lack thereof. Despite that, there’s still been a lot of confusion about how the Regera’s non-transmission works. To clear things up, we found this: A video from YouTuber Kyle.drive.s, aka Kyleengineers. In it, the professional race engineer and aerodynamacist explains a bit more thoroughly how the Koni Cirect Drive functions. Just to review quickly: The engine connects to a "fluid coupling" device, which connects directly to an axle differential. On either side of the differential are a pair of 241-horsepower electric motors, which drive each wheel independently and directly. A third 214-horsepower motor drives the engine off the front of the crankshaft, allowing the 2016 Regera to accelerate on about 700 horsepower worth of electric power until the gas engine starts up. From there, the 1,100-horse gas engine pushes the car (assisted by the electric motors) to the car’s top speed. All that’s covered pretty well by the first article. But in this video, we get an updated and slightly more in-depth look on how the whole system actually functions in real time. Supercar manufacturer Koenigsegg is planning to increase its dealer presence in North America. According to Auto Guide, quoting Koenigsegg’s North American sales director, Jens Sverdrup, the Swedish brand wants to have five authorized retailers in North America by the end of 2015. Koenigsegg opened its first store in New York City in 2014, and three more dealers have been chosen so far. The company recently announced that Lake Forrest Sports Cars of Chicago will become its second retailer, while Lamborghini Calgary, who will be selling Koenigsegg cars in the Canadian market, will become the third dealer to sell the company’s exotics in North America. The Swedes also added Weissach Performance, which sells Porsches, Lamborghinis, Lotuses and Bugattis in Vancouver, as its second Canadian dealer. Sverdrup didn’t say where the next dealership will be, but did mention that it will be located in a "strategic area." Since Koenigsegg has yet to open a dealership in the South, it’s probably safe to assume it will be looking for a partner somewhere in that area. 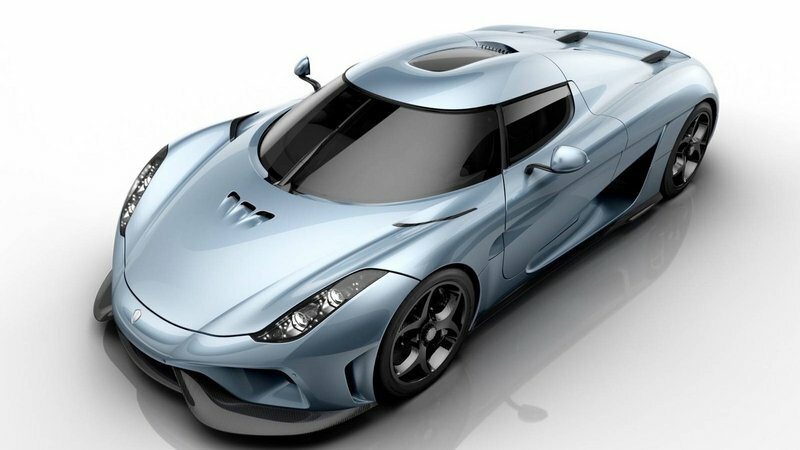 Koenigsegg is currently building three models, the Agera S, Agera R, and the One:1, which is limited to only six units, all of which have already been sold. 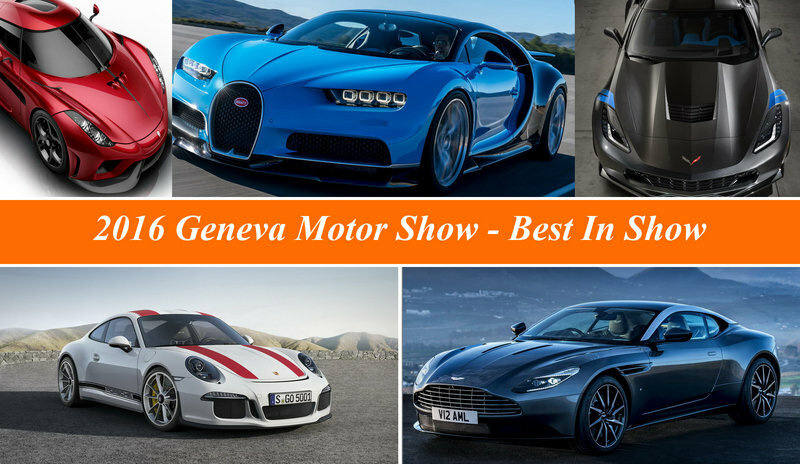 At the 2015 Geneva Motor Show, Koenigsegg introduced two new models, the Agera RS and the Regera, a 1,489-horsepower hybrid. Continue reading to learn more about Koenigsegg’s future plans for America. "Something’s happening here, and what it is ain’t exactly clear." So then, what about this new driveline that Christian K. has come up with? Let’s take a look. First, don’t call the Koenigsegg Regera’s drive system a “gearless transmission.” Not because there’s no such thing as a “gearless transmission,” but simply because the Koenigsegg Direct Drive isn’t a transmission. A transmission, by definition, varies input speed to output speed. As you might have gathered from the name, the Koni “Direct Drive” doesn’t do that. The Regera has a truly psychotic power-to-weight ratio. With 1,100 horsepower drawn from its 5.0-liter, twin-turbo V-8 engine and 3,600 pounds to move, few vehicles on Earth can lay claim to comparable power-to-pound ratios. But faster is better, and doing it with less fuel is better still, so read on to unravel this new technology. Continue reading to learn more about the Koenigsegg Regera. 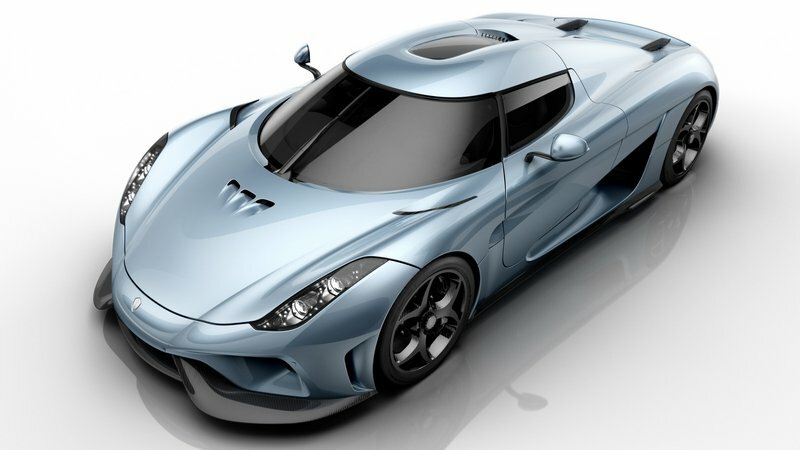 Koenigsegg has been teasing us over a new hypercar that it has dubbed the Regera, and today the automaker finally unveiled it. And with this debut, Koenigsegg has officially blown its mold to smithereens, as not only is this a plug-in hybrid hypercar – something Koenigsegg was completely against in the past – but it is also far more luxurious than anything else the Swedish brand offers. We’ll get to the luxury side of things here in a bit, but let’s focus on what really matter the most: the hybrid drivetrain. On the gas side of the equation is a 5.0-liter twin-turbo V-8 engine with a dry-sump oil system. Alone, this engine cranks out a massive 1,100 brake horsepower, but three YASA-built electric motors chime in with an additional dose of torque for off-the-line acceleration and torque vectoring. One of the electric motors is at the crankshaft, and it adds 221 pound-feet of torque, while the remaining two power the rear wheels and produce 192 pound-feet each. The power from this system is routed through a new Koenigsegg Direct Drive transmission, which replaces the standard gear-based transmission. This new transmission reduces parasitic power loss and helps improve power delivery. The only real downside to this setup is that it weighs 194 pounds more than the traditional transmission. 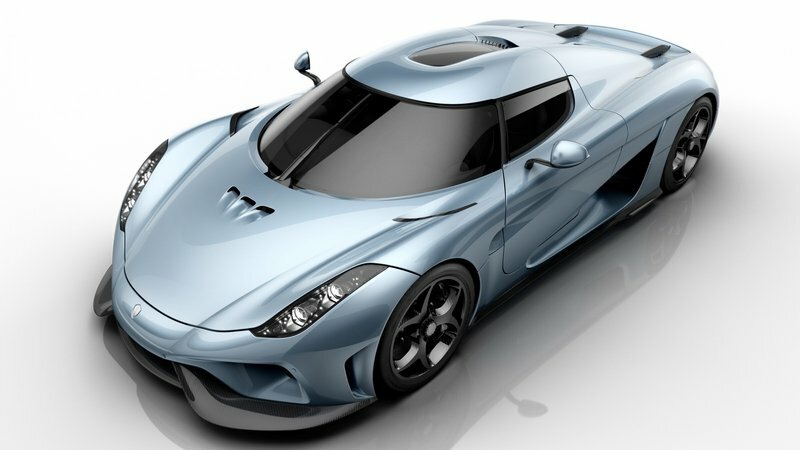 Continue reading to learn more about the 2016 Koenigsegg Regera.